Add prehistoric wonder with the modern Felt Dinosaur Mini Mobile from Fiona Walker England. 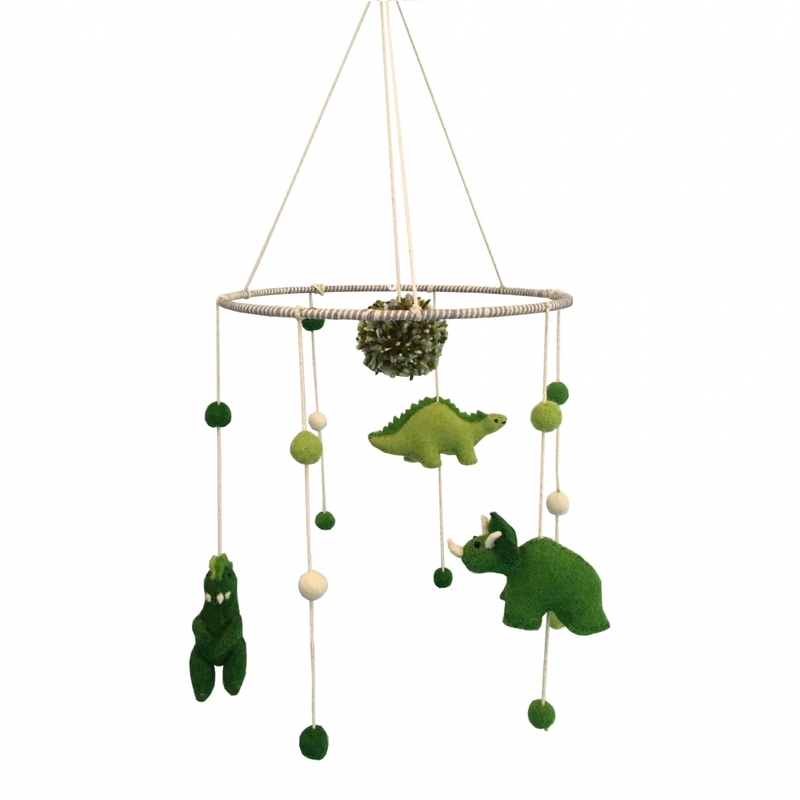 This lovely handmade hanging mobile features a stegosaurus, a triceratops and a t-rex in green with coordinating felt balls. It would make a stunning addition to a nursery or child's bedroom and could be teamed up with coordinating dinosaur wall decor from Fiona Walker to create a special gift set for new parents.